Makes 18 servings. Recipe adapted from AARP. Combine the juice, cranberries, brown sugar, cloves and salt in a large nonreactive saucepan (see Tip). Bring to a boil over medium-high heat. Reduce heat to medium-low and cook, stirring occasionally, until thickened, about 15 minutes. Let cool for 10 minutes. Stir in the reserved orange segments. Serve warm, room temperature or cold. 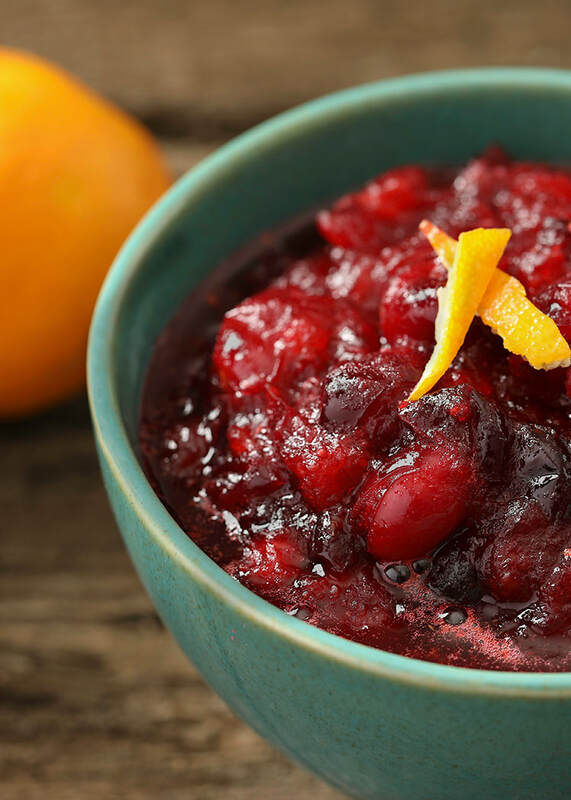 Be sure to use a nonreactive pan baking dish or bowl—stainless-steel, enamel-coated or glass—when cooking with acidic food (citrus, cranberries, tomatoes) to prevent the food from reacting with the pan. Reactive pans, such as aluminum and cast-iron, can impart off colors and/or flavors. Cover and refrigerate for up to 1 week.